Yes, another week done and another week closer to my marathon. Have I mentioned that I have a marathon happening in less than a month? Of course, I'm joking. 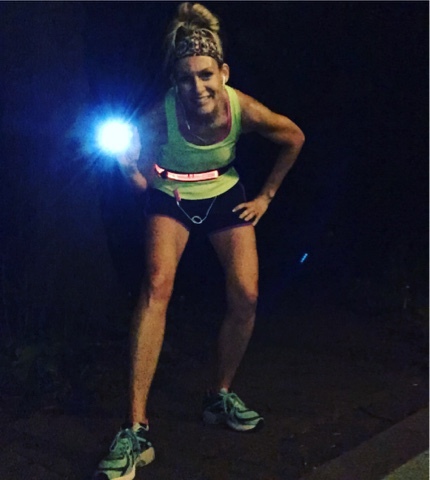 No self-respecting runner trains for a marathon and keeps it a secret. It was another week of crazy high mileage. How I am doong all of this (and not sleeping 12 hours a day) is blowing my mind. I'm not too disciplined about my sleep schedule, and I am finally starting to feel the effects of all those early morning runs following late-night bed times. But, somehow, I'm surviving. 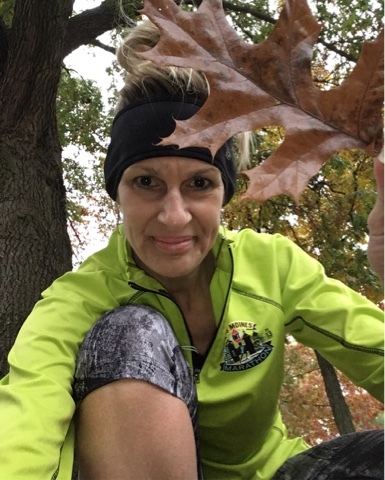 Following my 16-miler on Sunday, there was nothing specific on the training plan other than an active recovery day on Monday. Of course, being it was Monday, I couldn't let the running shoes sit idle. I went out (after work) for an easy mile...and it certainly was not a fast one either. That's all well and good...recovery miles are not supposed to be fast, nor are they supposed to be plentiful. Mission accomplished. Tuesday, time to kick-start the miles for the week.....I met up with my friend, Barb, for our weekly "Five-at-5" run (#5at5AM). The temps said 46-degrees, but it felt a lot warmer. I had two light layers under a fleece jacket and I was definitely over-dressed. There was a breeze, so I kept the jacket on...but the gloves only lasted maybe 10 minutes. Wednesday, the run got postponed until after work due to the rain coming down. Now, I don't mind rain, but in the early morning (with no natural light), I just was not feeling it. Although there was no rain when I finally got outside later, the air was cool and damp. I had approximately four miles of speed ladders to do (after a 1-mile warm-up). 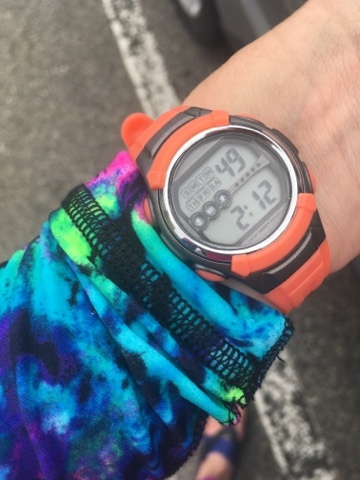 I'm not a huge fan of "timed" workouts (starting and stopping the timer on my watch feels like a constant distraction from the running), but I do see the value in doing them and I do like the challenge of hitting the prescribed pace for each segment. Another mission accomplished. Thursday was another active recovery day. 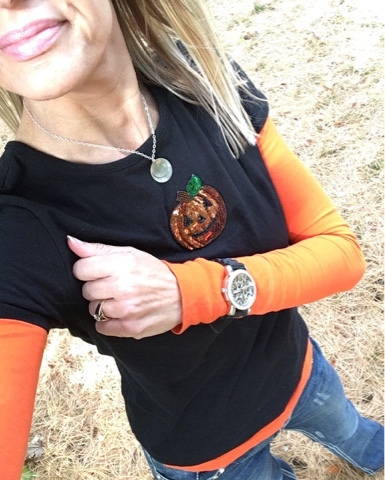 Also, I jumped the gun (a bit) on my #Fridayfashion post, and shared a #Halloweenfashion post. I have really gotten lax about Halloween decorating. I love the holiday (despite the dark themes often times associated with it), but since the kids have gotten older, no one cares if there are seasonal decorations scattered about the house...and no one else (most likely) will lift a hand to help take everything down or assist me in putting things away. SO, with the lack of Halloween decor, I often forget about the few pieces of Halloween attire hibernating in the back of my closet. 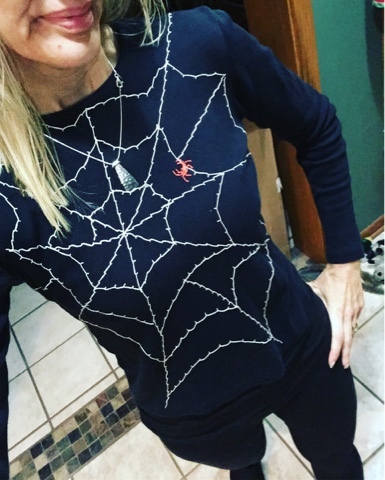 Fortunately, I remembered this spiderweb shirt....I made it several years ago and just can't seem to part with it (even though it only gets worn once every 52 weeks). Friday. Oh, let's talk about Friday. The temps took an abrupt upswing, late in the week. Also, my body has been feeling a tad bit sleepy, so I decided (again) to postpone the run until after work (notice that's been happening more frequently in these final weeks of training?). I had a busy morning, but got everything finished up at work so my weekend started around 12:15PM. Once I got home, I took Max out for a (very leisurely) walk around the block. Took my time eating lunch, did a few blogging things, and finally changed into the running clothes. The temps were now sitting at 75-degrees...yes, 75-degrees in Iowa...at the end of October. Did I mention there also was a fierce S/SE wind? Even the side-wind was vicious and made it difficult to stay upright. 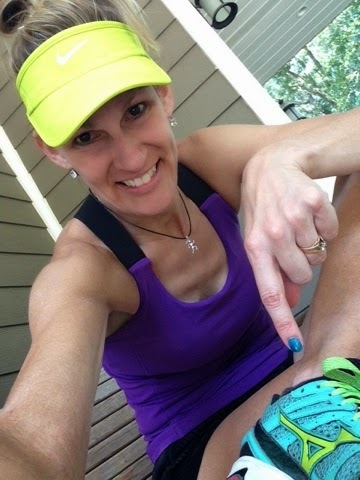 After my 1-mile warm-up, I headed out on my 6-mile route. Hoping to hit my targeted foundation pace (9:30), I kept my head down, fought the wind, and hoped my visor wouldn't go sailing. Ugh. I knew this was gonna be a tough cookie to swallow. The first mile clocked in faster than it felt (8:45ish). I was shooting for a 9:00 pace for the final five miles....and that %$#& wind felt like a total smack-down. The next two miles were 9:50 and 9:35...not ideal, but given the 100mph wind, I'm glad I was able to hold my own. I made the turn-around, the next two miles (with somewhat of a diagonal tailwind to push me) were at 9:20 and 9:05. The final mile clocked it at 8:44. So, yeah. Kind of all over the place with my pace, but I was happy that I was able to progressively up the speed with each mile, though there was nothing consistent going on. This run was not an all-out-sprint-to-the-finish effort, but the wind really made it feel like I was doing a tempo run. Fighting the wind (in those hot temps) required a lot more effort than running on a calm, cool day. I would have had better conditions 12 hours prior, but I really didn't want to deal with monitoring my watch in the dark. Also, the 6-mile route I used for this was perfect in that it was an out-and-back with a few gradual hills...but it also was a pretty busy road that took me farther out from my house than I prefer to go in the dark all alone. None the less, I battled through another tough run, and am happy with my efforts. I might very well have less-than-ideal conditions on race day, after all; it's best to train in them and be prepared. 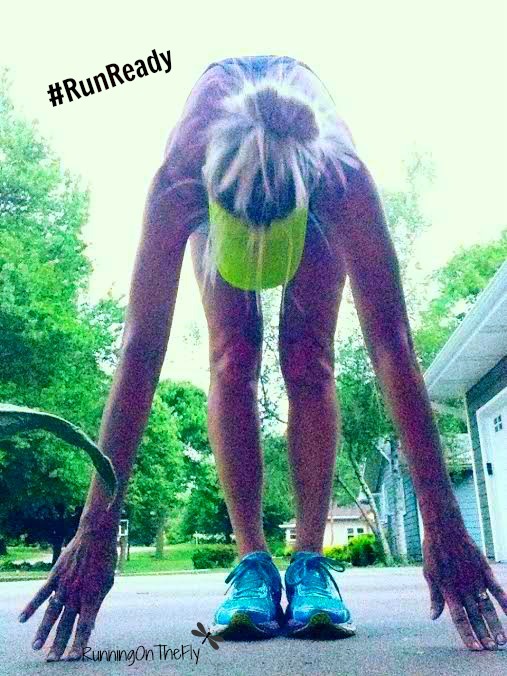 Saturday's run was another of my favorites....three easy miles. I headed back to the lake (like I had done a week earlier) and ran three loops on the trail. Autumn is such a pretty time of year, I honestly cannot imagine running inside and not witnessing the seasonal beauty first-hand. I had 18 miles on the roster for Sunday, something I was both looking forward to conquering and dreading at the same time. The temps were showing 50-degrees, and it was windy. Not my favorite scenario, especially for three hours of running. Long story short, the run went well. My friend, Barb, ran with me. We left my house around 5:30, ran the first nine miles and stopped back at my house for a potty break & refueled. The remaining nine miles went well, too. Funny how these 18 miles in adverse conditions felt easier than those 16 miles a week ago. So, that's my week in miles. That's a 40-mile week, ladies and gentlemen. I think that's a new weekly mileage PR. 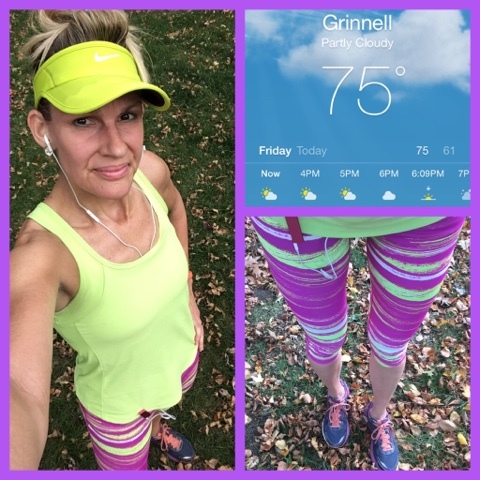 My October miles are sitting at 168, and will top off at 169 after I do my #nevermissaMonday run on Monday (rest-assured, that will be the minimum 1-mile...and I will be quite content with that). 169 monthly miles is, hands-down, a huge PR for monthly mileage...and not something I plan to meet and beat anytime soon (if at all) in the future. My #Fridayfashion post on My Instagram was well-received. Should I keep this up? It's kind of fun posting my outfits, but I have no desire to do it daily (at this point in time). I used to do fashion consulting (many, many moons ago) and I have always had an interest in making do with what I have and mixing in funky accessories and/or color combinations (rather than constantly be buying new stuff). No, that's not my real buttcrack...but the jersey does say "Team Buttcrack"
Look at the size of this perfect maple leaf...it's almost bigger than my size 9-1/2 feet (translation: 10-1/2 size running shoes)! And, last of all, Max. 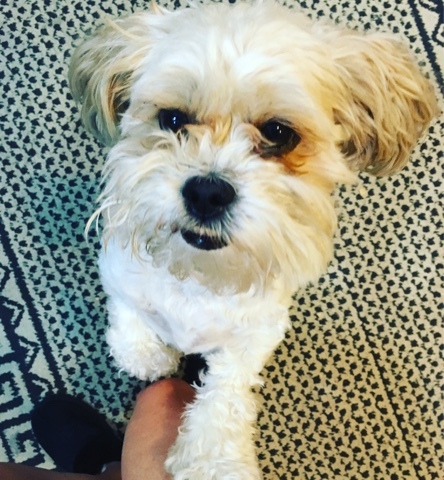 Isn't he just the cutest little dog ever? 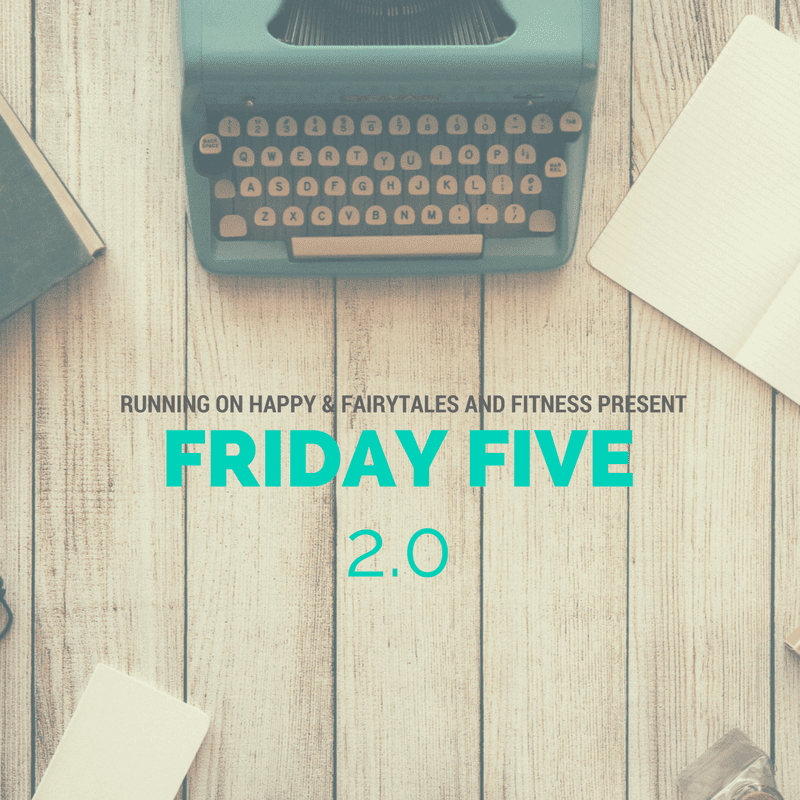 Tell me about your week...high mileage, moderate activity, or rest? 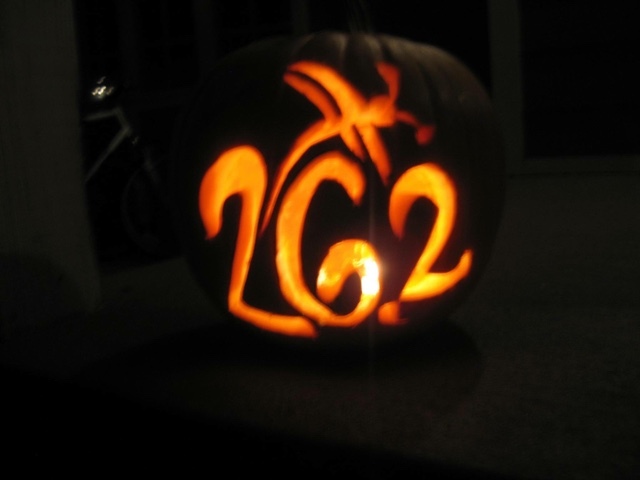 Did you dress up for Halloween? Have the leaves started changing (and falling) in your area? As usual, I'm linking up with the lovely Holly and Tricia for the Weekly Wrap. Head over and check out their blogs, and all the other blogs linked there as well. 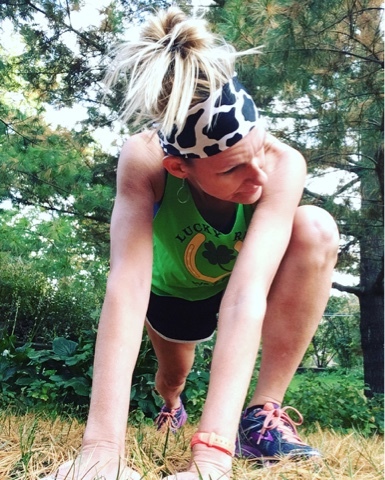 Marathon training is time-consuming. Yes, yes (a thousand times), yes, we make time for that which we desire. Unfortunately, other things get pushed aside (and/or forgotten). Such is life. First, let me tell you that I love all things Halloween. I'm not into ghosts, goblins, or the occult, but I do embrace the festive and fun aspect of the holiday. 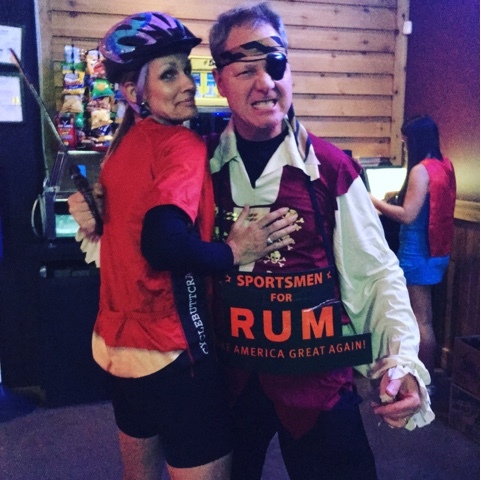 I always dress in costume, I look forward to handing out candy to the trick-or-treaters, and I usually can find a costume party for the husband and myself to attend. But, I must runfess, this year I have done ZERO decorating. I haven't even bought any pumpkins for carving (yet). I almost forgot to dig out my DIY spiderweb shirt ....but I did finally remember to wear it to work on Thursday. Whew! Now it can go back to the dregs of my closet for another 50 weeks. I almost missed the annual "wearing of the web" shirt. Almost. Also. in keeping with the fall, is harvest. I don't live on a farm, but I do have a small raised garden. Our tomatoes were slow this year, though, and we didn't have much (other than cherry tomatoes) until just recently. 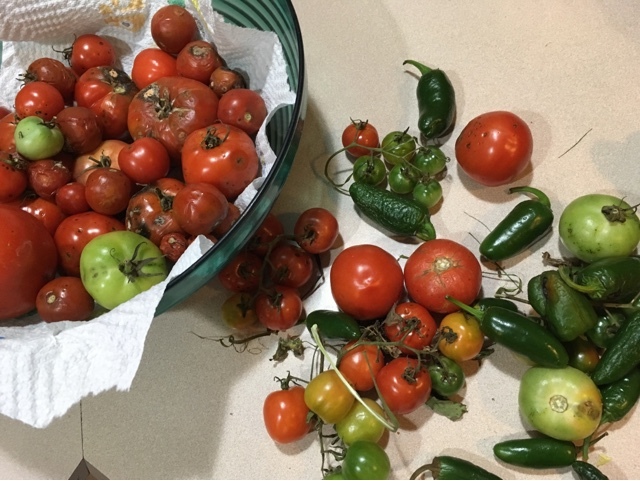 I made two huge batches of salsa in the late summer...but that's where it stopped. I've had bowls of (mostly) cherry tomatoes and jalanpeno peppers on my counter for the past month (maybe longer). And I just cannot find the time to blanch, slice, and/or dice the remains. I am slowly tossing them, one by one, out to my compost bin, though. I'm sure the birds and squirrels love me. There. That feels much better! 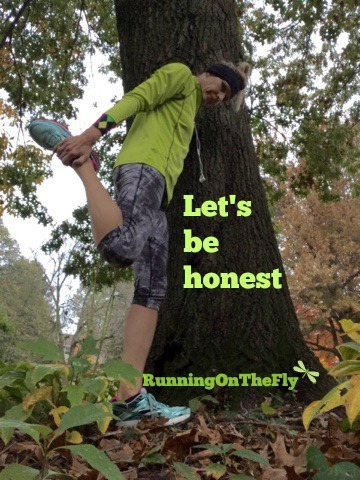 Honesty (especially in running) is the best policy. 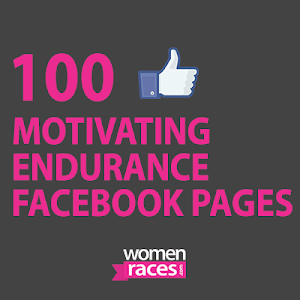 Have you ever trained for a race and found yourself in a constant tail-spin in trying to stay ahead of the game? Did some things in your household take a back seat? 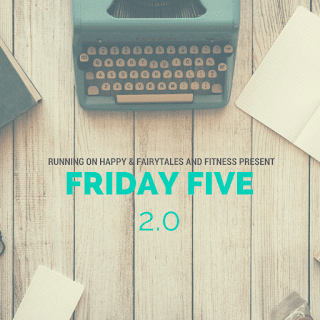 I'm linking up with Marcia for the Runfessions link-up, as well as with Lacey and Meranda and Rachel for the Friday Five 2.0. Do head over and check out all the great reading! For starters, there's the cost of those pretty shoes. 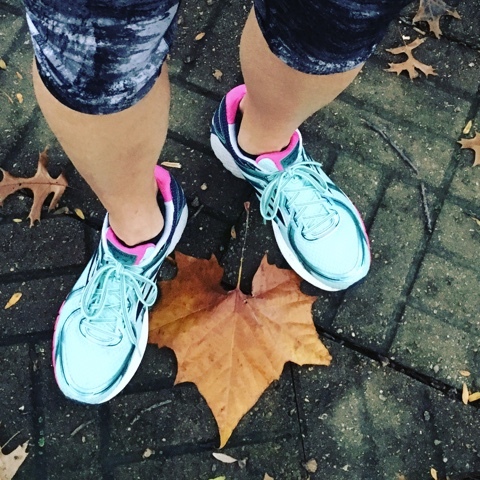 Yes, those running shoes are a necessary evil. 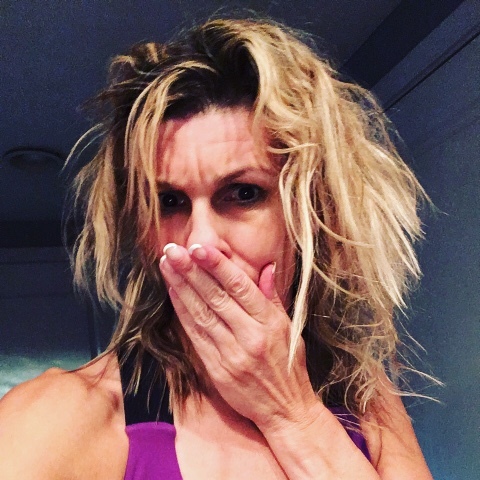 The first time I bought official "real" running shoes (from a real running store), I did a silent gulp as I handed over the $120+ for something that I would not be using daily. As we all know, handing over cash for expensive running shoes did get easier with each subsequent training season. A real nuisance for me is my hair. Actually, I like my straight hair (though I wish it had a bit more thickness). How to fix my hair for my favorite sport can sometimes be a challenge, though. I'm past the (boring) low pony tail look, so I usually try to do something funky with it: messy bun, braids, headbands, sometimes hats or visors. A lot of times, how I do my hair is contingent on the weather. I run with music more often than not, so that means keeping the Ipod constantly charged and ready for action. 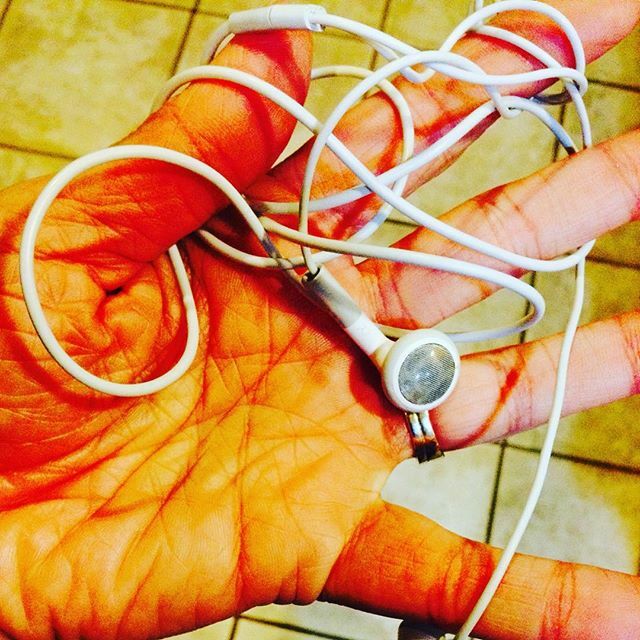 But what is up with those tangled ear bud cords? Then, there's the whole wrestling match when it's time to disrobe. 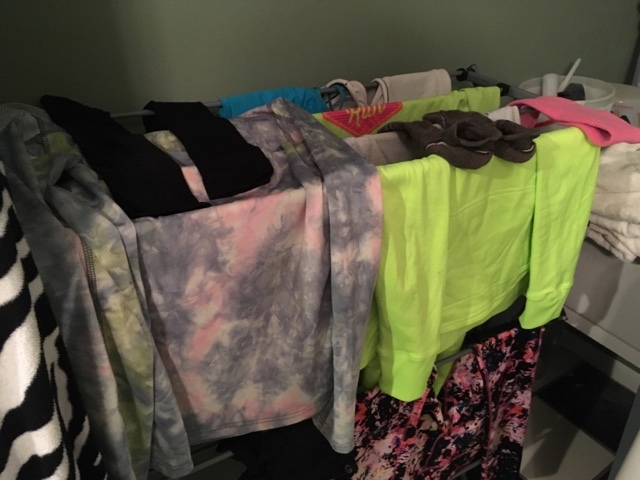 I prefer a more fitted shirt (saggy & baggy is not my scene), so it can be a challenge getting everything off after a workout. And last of all, those races are not cheap. The registrations are crazy for some of the big name races (Chicago and NYC? Upwards of $200...and that's not even including your transportation there or lodging). But crossing those finish lines? It's worth all the craziness and nuisances along the way. 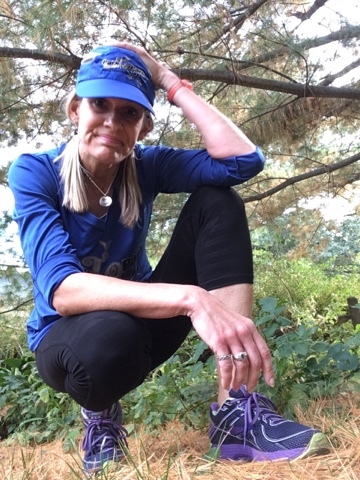 What is one thing about running (or your sport of choice) that you consider a nuisance? 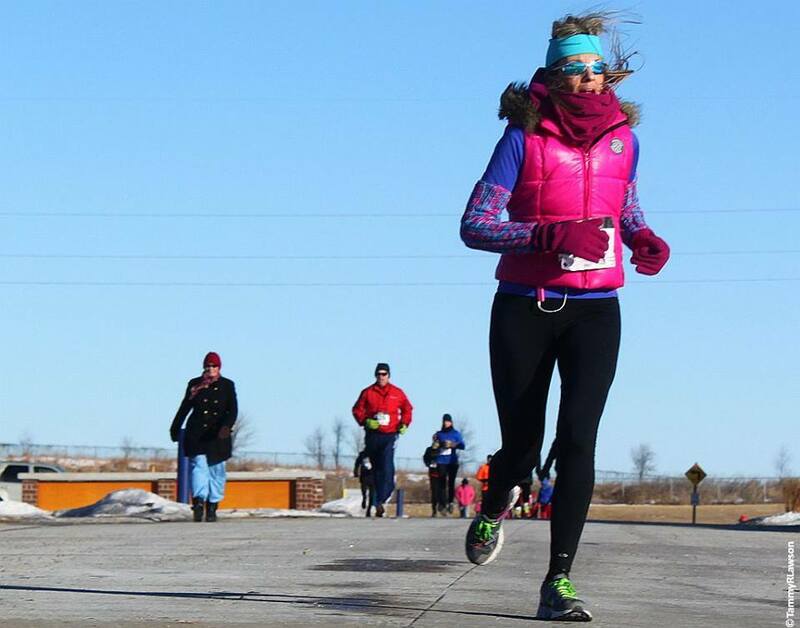 What's the coldest (or hottest) race you've ever done? How do you feel about the price of running shoes? I'm linking with Deb for the Wednesday Word...today's word? Nuisance. I'm also linking with Susie and Rachel and Debbie and Lora for the Running Coaches' Corner. Check out the lovely hosts, and do take notice of all the linked blogs! First of all, let me say that running is my sport-of-choice, but it in no way dictates my every hour/minute/second of existence. I also have a husband (we celebrated 26 years of married bliss in August), three kids (ages 22, 19, and almost 17), a dog, and a life outside of my house (I have worked the past 10 years for a local architectual signage company). I am also a self-proclaimed art geek, which often gets played out in my clothing (color, anyone?). I love all things artsy-fartsy...drawing, painting, funky patterns, knitting, and writing. 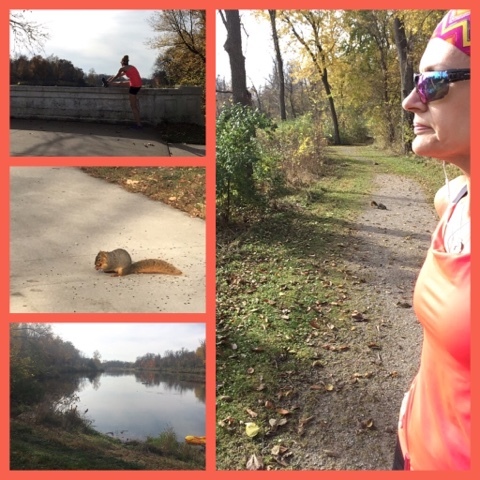 Monday...was a day of active rest & recovery (on the heels of having ran the Mercy Live Up Loop 5-Mile Run and IMT Des Moines Half Marathon) over the weekend. Funny how one can run a great race, and feel like a million dollars the next morning. Then, the afternoon hits, you lace up the shoes and head out for an easy #nevermissaMonday run...and feel like a train wreck. Holy Yikes, Batman! That "easy" run (only a mile this week; lately the Monday runs have been five miles) went really slow because the feet, back, and hips were NOT feeling like leaving the house. Running two races on the same weekend has happened several times before (so that's typical). 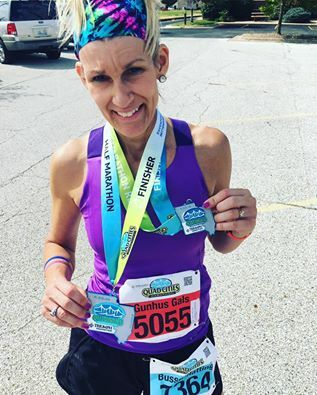 The half marathon distance is my favorite kind of race (so that's typical as well). 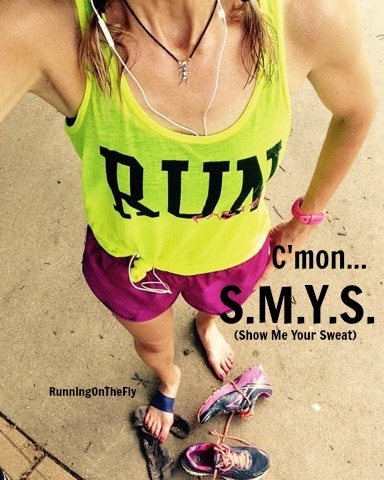 I have been doing a #nevermissaMonday run every week in 2016, (also a typical thing). Feeling like my body was not gonna make it back home...that was not typical (UGH!). Tuesday, I had an "easy" five miles on the training plan. No big deal. 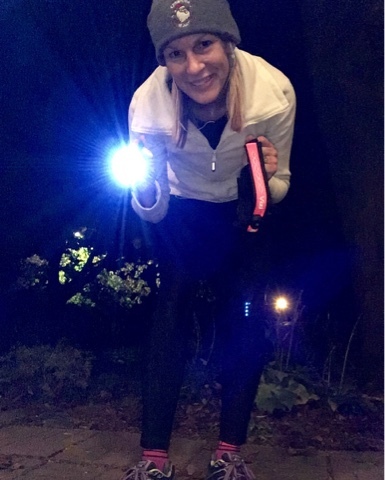 I met up with my friend, Barb, at 5:00AM (yes, 5:00 AM...in the wee dark hours prior to sunrise) and we got the miles done. Thankfully, my body felt better recovered, and the run went well. It even felt like summer again! I got to dig out a tank top and shorts! Score! Back in a tank and shorts! Typically, these easy runs have been happening on Mondays, but my training plan had a bit of a twist this week (due to the previous weekend's races, and the fact that my marathon taper is looming in the not-too-distant-future).It is pretty typical for me to rise and shine (even without the sun) and run in the early morning, and my friend, Barb, does a lot of the same races as I do (so we do a lot of our training runs together). Yikes! What just happened on that run??? This also was NOT a typical workout for me. If I wasn't under the direction of a coach, I would have not even left the house. Or, I would have bailed and headed back home...long before the warm-up mile was complete. Saturday was a beautiful day in Iowa...sunshine and perfect temps. With my long run on the roster for the next day, I was supposed to only do three easy miles. Mission accomplished. 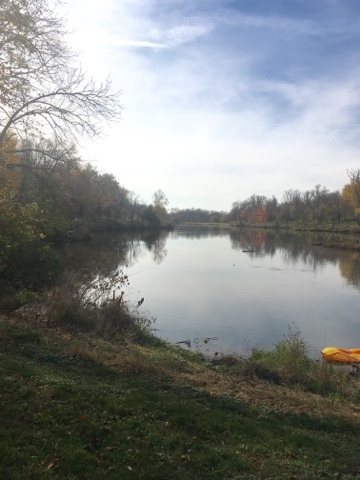 There's a small lake in our town that has a 1-mile perimeter on a trail. I had not been there in several months, so I drove over and ran my three laps and left the watch at home. 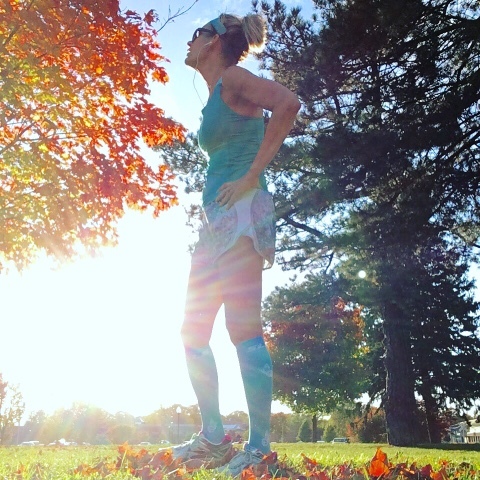 Finally, Sunday arrived.Typically, I prefer to do my long runs on Saturdays, but as mentioned, things are changing in these final weeks of training. My mileage is crazy high (for me) and I am starting to feel the effects of it (and my sleep schedule is not helping). Also, doing my long runs on Sundays gives me the added obligation to not procrastinate because our family has church at 10:00. I had 16 miles on the plan, and Barb agreed to run her long run with me. We met at 5:15AM. We did a 5-mile jaunt, and paused for a potty break in a park. Next, we ran a 3.5-mile segment and stopped at my house briefly (I needed to shed a layer of clothing). We headed back out and finished the remaining 7.5 miles. We had moderate temps (49-degrees when we started), but there was a wicked wind out of the South/South-East. The final three miles were a struggle for me, but we got it done. It felt great to have that run finished! 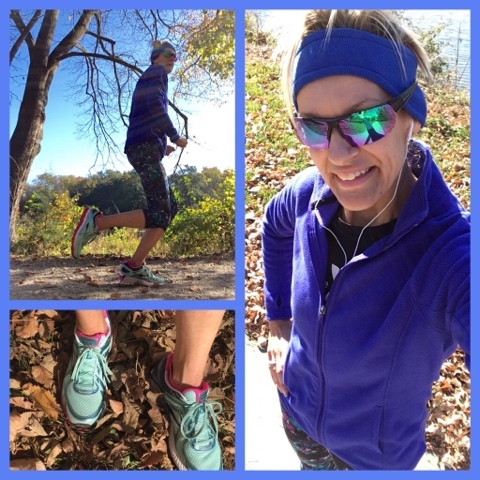 All said, I ran 37 miles this week, bringing my October miles to 129. #gulp Rest assured, that is NOT typical for me either. 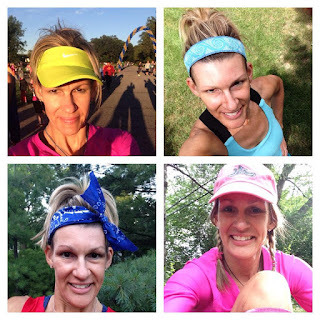 The miles seem crazy (well, they are crazy!) because I'm just about to my taper for the Route 66 Marathon (November 20, Tulsa OK). My #Fridayfashion post was a hit on Instagram ! Do you ever do a #Fridayfashion post? Tag me, and I'll play along! 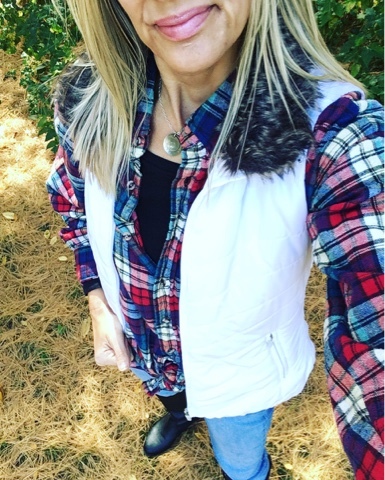 flannel, jeans, boots, and a puffer vest for the win! And, #sigh. 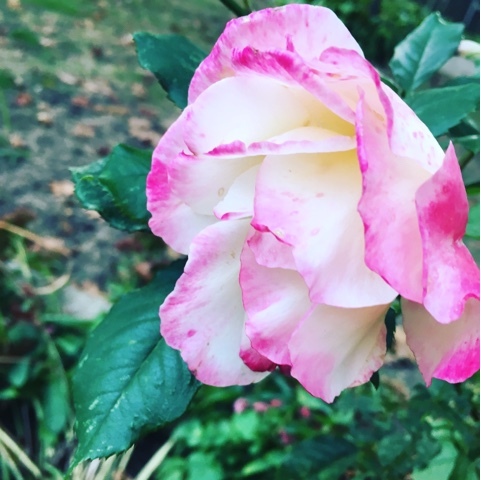 This is probably the last bloom of my rose bush for 2016. In case you were wondering, I can get a little crazy with #hashtags. Care to know more about me? 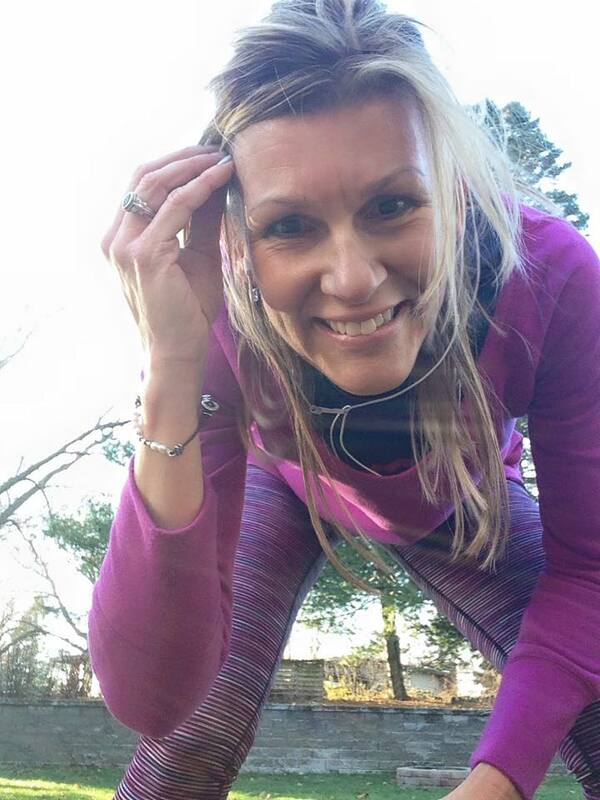 This post goes into a bit more detail about me and my so-called life as a runner (and otherwise).... Me and my #hashtags. So, answer me this...Do you use #hashtags? 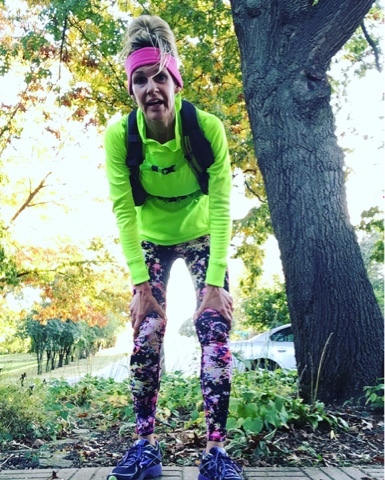 Have you ever had crazy mileage weeks (or months)? Favorite distance to race? 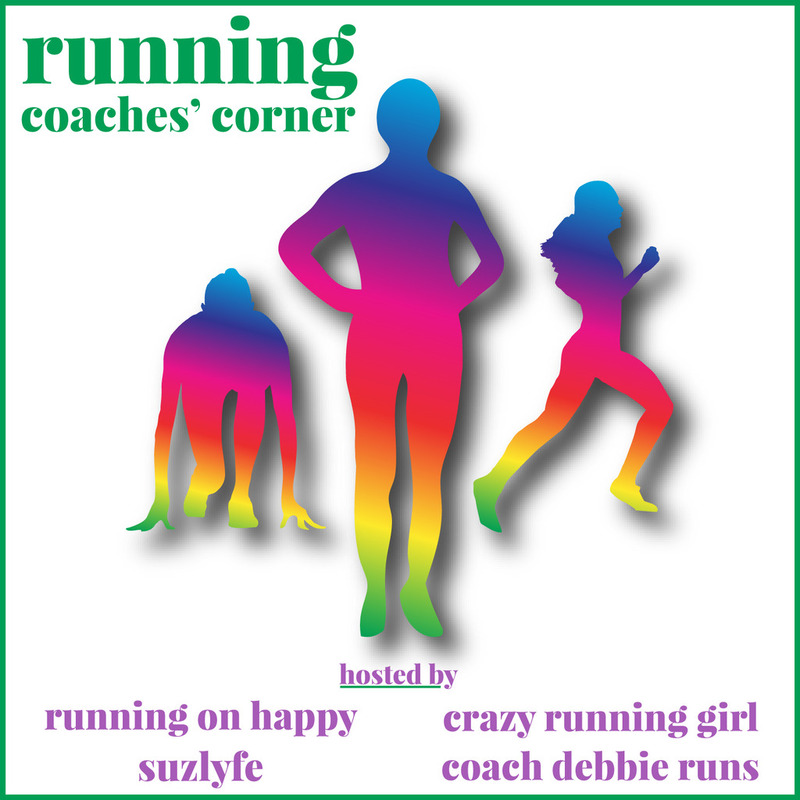 As IS typical, I'm linking up with the ever-lovely ladies, Holly and Tricia for the Weekly Wrap. Do head over and check out the numerous blogs and see what everyone's been doing this week! "This is not the race I had been training for." 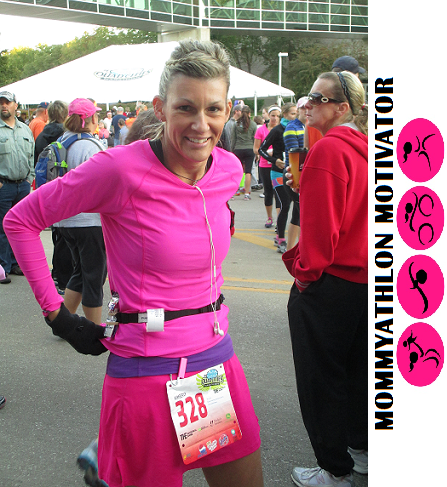 That was the mantra I had to tell myself, repeatedly, throughout the IMT Des Moines Half Marathon. 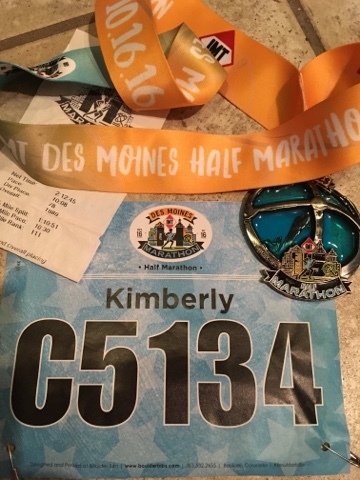 This was the second race for me during the IMT Des Moines Marathon weekend, the first one being the Mercy Live Up Loop (recap HERE) the day prior. There also was a 5K and Marathon Relay Team option happening as well. 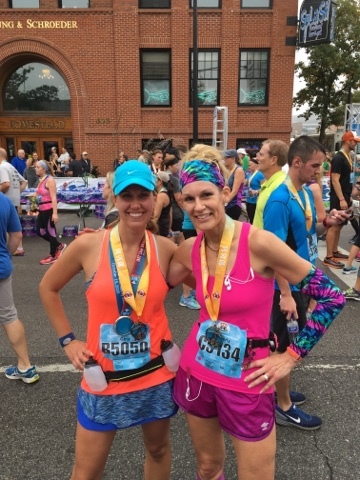 This was my 6th time running the half marathon (I also ran the full marathon in 2014, recap HERE), and this was the third time the course had changed since I'd been participating. The route had been the same in 2008 and 2011. There were a few slight changes to the start and finish lines for 2012 - 2015. And there were several significant changes for the 2016 event (all of them good). We left town around 5:50AM to make the 50-mile trek to Des Moines. To say it was a foggy drive would be an extreme understatement.The temps were in the low 60's (with a dew point to match), so the air was very humid. We arrived shortly before 6:00, and were surprised to see so many racers already milling around. Barb and I, ready to take on 18 total miles! As part of my Route 66 training, my coach wanted me to do a total of 18 miles. 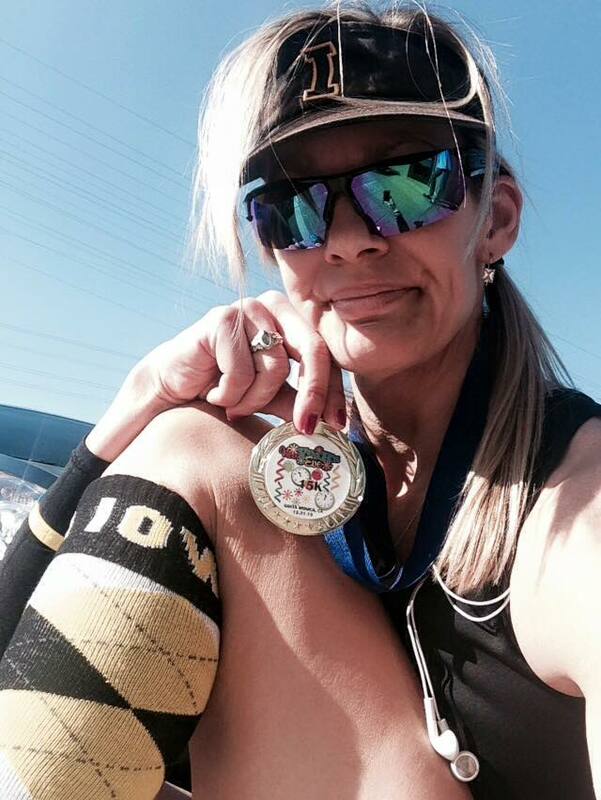 She suggested a few miles for a warm-up, run the 13.1 miles, then finish the remaining miles afterward. I rode up with Barb, and she agreed to do the extra miles with me (she's also training for Route 66, and needed some extra miles as well). 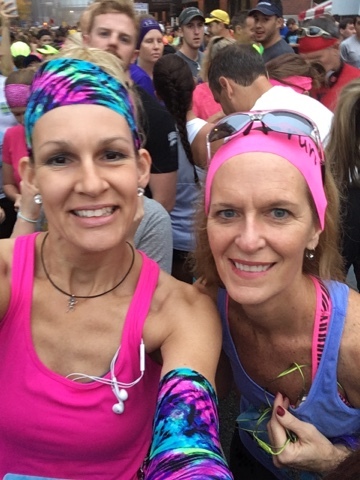 Barb and I did our warm-up (two miles) and headed to the start line. To my knowledge, this was the first year the runners were assigned corrals (depending on projected finish times). I actually like that feature, though it's almost impossible to enforce it once the runners are through their respective course entrances (shame on you if you're one of those who line up where you shouldn't! We know who you are...and so do you). Oh my, was it ever humid! It didn't rain, but there was mist in the air for the first hour or so. We were warned about all the damp spots on the course, and the air was so heavy that nothing was evaporating. 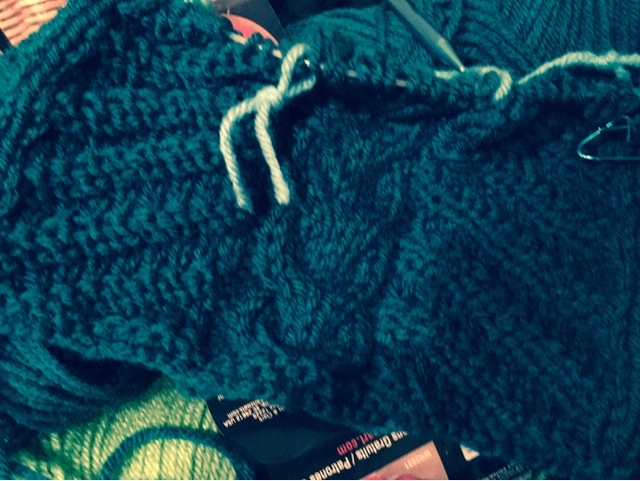 I debated about leaving the arm warmers behind, but decided to keep them on (and was glad that I did). Even though the air was humid, it was a "cool" kind of humid. Having inadvertently run the prior day's 5-miler faster than expected (or prescribed by my coach), I had a pretty strict pacing plan....I was to run the first eight miles easy (10-10:15 pace), then surge for the next four miles (ideally hitting a 9:00 pace), than running the final mile with an all-out effort (and let's not forget there would still be three extra miles awaiting me after the finish line to complete my 18 miles for the day). Ok then. I got this (I hope!). I was pleasantly surprised how liberating it was to let my usual (9:00ish) pace go. Most races of this distance, I try to run with an average 9-minute pace, and most times I finish around the 2-hour mark. There have been times when I've been able to spank a sub-2-hour finish, and there have been many times when I've tanked and finished much later. For the most part, though, the 9-minute pace gets me happily to the finish line. I made it to the first mile mark in almost exactly 10 minutes! Although it wasn't my "comfort zone" pace, it would have to do for this race. After all, this was not the race I had spent the past few months training for, and I had no business treating it as such. Onward! I made it to the second mile mark with a near-perfect 10-minute pace, as well. I still had to make a conscious effort to hold back, but given the humid conditions, it was easier than I expected. By now, the course had us on Fleur Drive, heading towards Gray's Lake. It wasn't until we were almost at the 3-mile mark that I noticed a water stand. I drank about 8 ounces of water with Beet Boost (right before the start line) and had been chewing PlowOn gum. Paranoid about energy burn-out in the heat, I was going to try a little tweak to my "usual" routine, and gulp down a gel at the 5-mile and 10-mile marks (instead of at the race start and then at mile 6). My hydrating strategy was to alternate water and Gatorade at the aid stations. We looped around Gray's Lake (for miles 3 and 4) and finished the fifth mile as we merged onto Martin Luther King, Jr Parkway. So far, so good. I managed to stay pretty close to a 10-minute pace without as much effort as I'd anticipated. I was a little nervous if I would have the energy to speed up (as my plan dictated) when I hit the 8-mile mark, though. I had never before run a race like this...slower than "usual" with a 5-mile "surge" at the finish. I don't remember when the misting stopped, but the humidity hung on all morning. 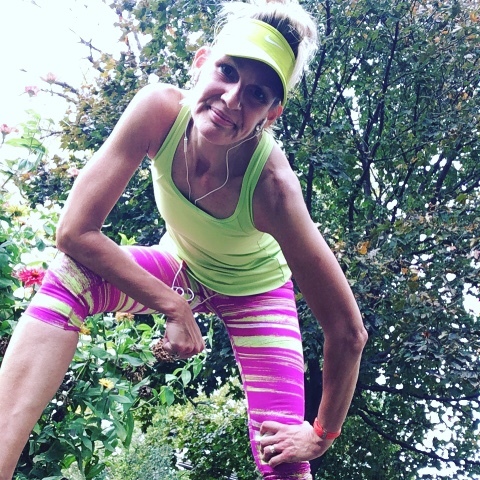 I didn't feel hot as I was running, but each time I stopped to grab a drink, I could feel the sweat running down my arms and dripping off my wrists (I know, eew!). Before I knew it, I was approaching the 8-mile mark. It was almost "Go Time." Don't forget, I also had done that 2-mile warm-up run, so I actually had 10 miles under my belt at that point. I walked briefly as I took a quick drink. My watch showed my paced had slowed a tiny bit; I should have been at 1:20, but it was showing about 1:25 of elapsed time. Granted, I had walked through the water stations (there had been four of them so far), so that would account for some of that time. I tossed my cup and took off. Not quite sure how I was gonna summon the mojo to (all of a sudden) go faster with 10 miles behind me, I tried to just gradually take faster strides. I couldn't quite get a 9-minute pace to hit, but I could tell I was moving faster than in the previous miles. 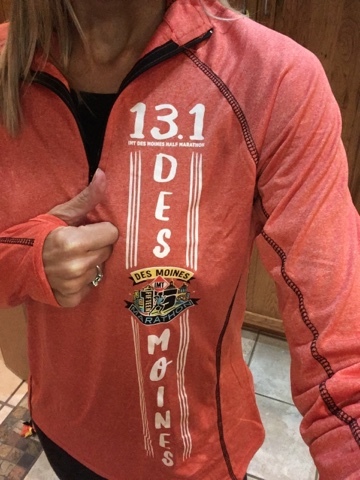 Des Moines is the capitol city of Iowa, which means our State Capitol resides there. And, like most, state capitols, it is perched atop a grandiose hill. 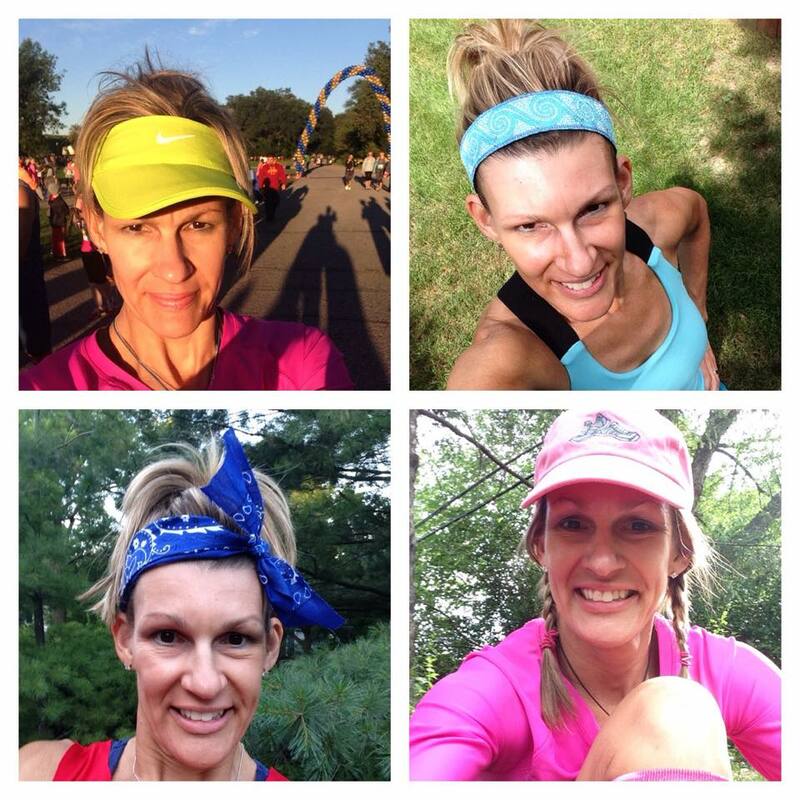 I have run a lot of races in Des Moines, and a lot of those races involve a lap around the Capitol in some capacity. So, I knew what was awaiting me at approximately the 9.5 mile mark. Thankfully, there was a water stand right before the 10-mile mark, so I slammed my second gel, took a deep breath, and went for it. I knew this would be the toughest part of the race for me. By this time, I now had almost 12 miles done (including the warm-up), I was attempting to gradually up my pace, and I was determined to run the entire route (other than walking through the water stations). By now, there were a lot of people walking. As mentioned, it was humid. This hill is pretty steep, and this was the 10-mile mark on the race course.Thankfully, I never felt my energy dwindle. I made it up the first part of the hill (on the south side) and around the curve towards the east side....still climbing. After a couple blocks, the hill starts to level out. Next we had a stretch for about half a mile, before looping around and heading back. Ahh! When I reached the 11-mile mark, I knew I had this race in the bag. I could tell my pace had been gradually increasing, and now I had a substantial downhill to ride for next mile or so. As I crossed the 12-mile mark, I could feel my body spring into action. This was it! The final mile, it was now or never...time to see just how much I had left in the tank. As I have said several times before, I am not a sprinter. I have long legs and my knees sort of turn inward...which makes for (what I can only imagine to be) an awkward-looking sight. But, none-the -less, it felt great to push to the finish line. I did it! I kept to my plan, stayed on pace, and finished strong! I made it to the finish line in 2:12:45 (official time), certainly not my fastest half marathon, but it was my second-fastest 13.1 this year (my fastest 2016 finish was on May 1, when I ran the Red Shoe Run Half Marathon in 1:59:58). 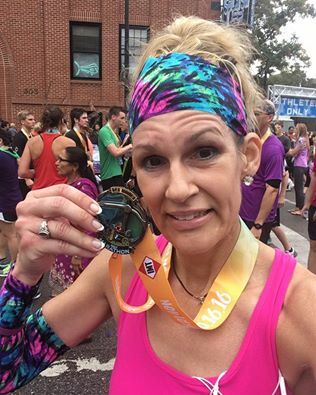 As much as I would have loved to try for a faster finish, I had to stick to my training plan....and in doing so, I was able to pull off a negative split for the last half of the race. The faster finish time can wait for next year. A silly little goal of mine is to finish the half marathon before the first full marathon runner crosses the line. So far,so good on that quest! 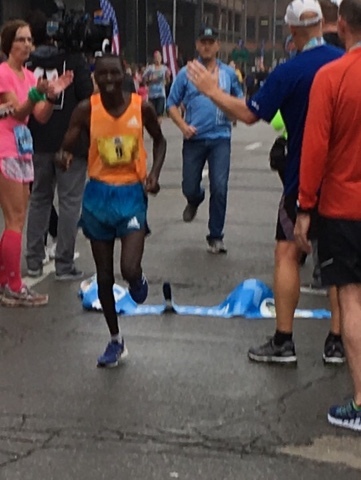 The 2016 IMT Des Moines Marathon champion, Boaz Kipygo, from Kenya, finished in 2:16:36. So what if he ran twice as far, I still finished ahead of him (LOL). Upon finishing, I spotted Barb right away. I also was able to find, Gina (from Run Gina Run)! 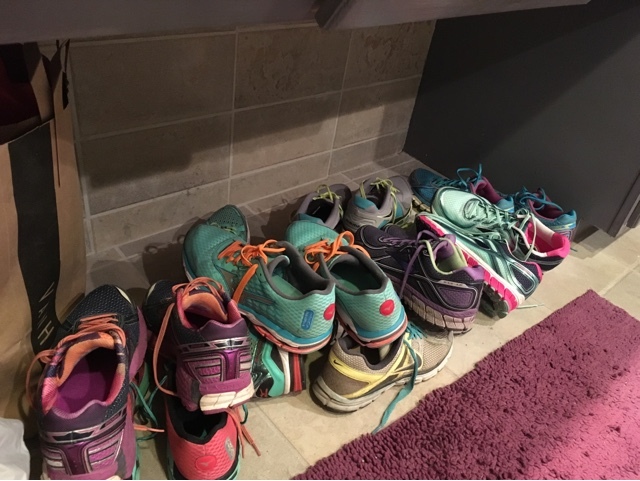 It's always great meeting up with fellow running friends (and bloggers) from near and far. 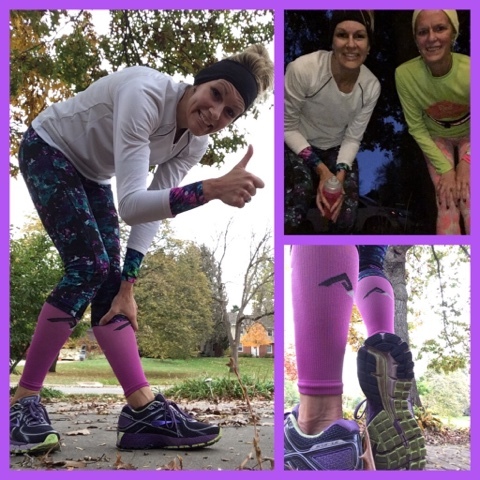 We grabbed a quick snack, slammed some chocolate milk, did a few stretches, and then Barb and I headed back out for those remaining three miles. 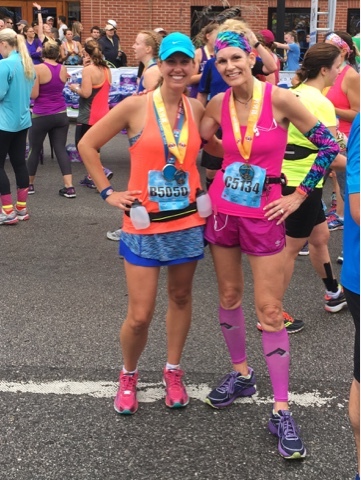 We kept our race bibs pinned on (in case we decided to go back for more food), and we did notice people looking at us like we were lost (Barb even asked one of them where the finish line was. 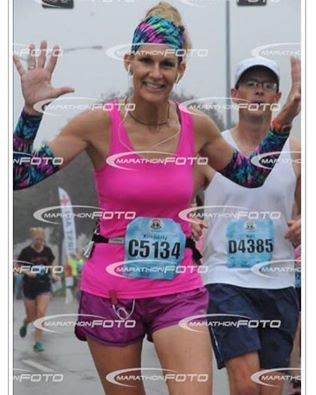 You gotta have fun with it...how many others ran three extra miles after the finish line?). 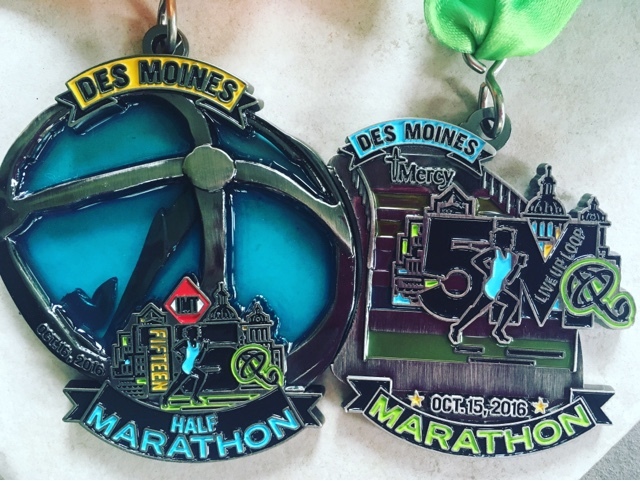 I do a lot of repeat races, and the IMT Des Moines Marathon (and/or half marathon) is one of them. This was my seventh time participating, and I look forward to coming back each year. A lot of people complained about the new course (mainly because it wasn't as flat as in years past),but I liked the change. Granted, Capitol Hill is a beast, but it felt great to conquer that hill (and the downhill was pretty sweet). The weather was miserable, but manageable. We had continuous cloud cover until after we were finished. Had there been sunshine, it would have felt much worse. Thankfully, I'm used to the Iowa humidity, so it's not usually a game-changer for me. I was a dripping mess when we finally finished running, and I was glad to have brought dry clothes to change into for the ride back home. And my hair...ugh! When I finally got around to peeling it out of the messy bun...it was still a wet mess in spots. No doubt about it, this event is top-notch. Great communication, big expo, and awesome race shirts! Can you say, "Thumb holes?" And, check out the medals! For participants who did a Combo Challenge (also running the Mercy Live Up Loop the day prior, the medals are magnetized to fit together. All in all, I am very happy with how things went. Sure, I would have liked to have tried for a faster finish time, but this was not the time or place to do so. Route 66 is what I have been training for, and that's where my focus needed to be. My marathon is happening on November 20th, which means there's only a couple more weeks of distance running...then the taper can commence. 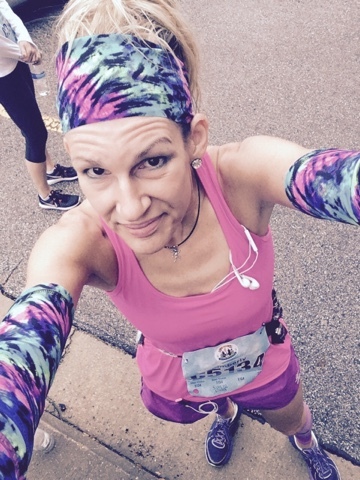 Have you ever done a half marathon as a training run? If so, were you able to treat is as a training run...or did you (accidentally) turn it into a race? 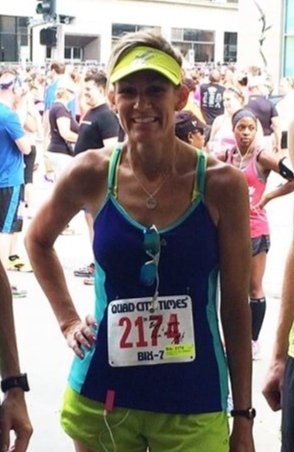 Does the heat and/or humidity affect your performance on race day? More Miles? Sure, why not!